A brand new cycling centre, workshop and store officially opens in Kings Lynn on Saturday 17th March. 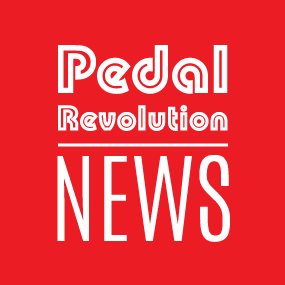 In February, Hunstanton based business Fatbirds (the UK’s leading titanium bike retailer) merged with one of the regions longest standing independent cycle retailers, Pedal Revolution. The result is a brand new store 3000 square foot on Edward Benefer Way that offers local cyclists a market leading store with over 180 bikes ranging from children’s bikes through day-to-day commuters to sports and recreational bikes for all ages and abilities. But the real bonus for the region is Pedal Revolution’s passion for cycling and desire to inspire and enable local people to get active and enjoy the UK’s fastest growing sport. The new store has an entrance onto the cycle path and is building a huge range of downloadable rides that will progressively challenge riders whatever their cycling ability. “Our vision is to engage, inspire and enable local people to get out on their bikes and enjoy the fantastic lanes and countryside in our part of the country.” Says director Neil Turner. “Cycling is such a family and socially inclusive activity that can be enjoyed whatever your age and current activity level and we would love to contribute to making Kings Lynn a haven for cyclists not just locally but from around the region.” He continues. The store stocks bikes from world leading brands such as Specialized, Giant, Trek and Cervelo plus arguably, in the Fatbirds Titanium section of the store, the biggest collection of titanium demo bikes and frames you will find anywhere in Europe from brands such as Lynskey, Van Nicholas, Kinesis and J.Guillem. The range is topped off with the fantastic light-weight Frog bikes for children aged 18 months to 14 years old. The store offers regular learn to ride sessions for all customers. At the opening celebrations on Saturday and Sunday and in partnership with local cycling groups we will be holding rides for beginners and regulars on Saturday and Sunday next weekend at our formal launch party from 10am Saturday and 9.30am Sunday. For younger riders, we will be running free children and youth coaching and riding sessions on our life-size scalextric like mountain bike track outside the store! If your bike has been in the garage all winter then dig it out and bring it along for a free bike healthcheck – we will even show you how to look after it and keep it running smoothly. The new store also has a fully equipped workshop offering services from punctures to full annual services plus a “wash and go” service where you enjoy a coffee in the lounge while the technicains clean, lube and tune-up your bike – no more gritty gears and squeaky chains! In April a state of the art bike fit studio opens offering a range of services designed to make riders more comfortable and efficient on their bikes. If you suffer from a sore back, a painful backside or just feel you may not be getting the most from your bike then come and see our services and how they may help. There has never been a better time to ride a bike in West Norfolk, come and join in on Saturday from 10-3pm and find out why cycling is the fastest growing family and socially inclusive activity in the UK!